The Child Labour Amendment Bill was passed by the Lower House of the Parliament on 26 July, amid protests The bill seeks to make the employing a child below 14 years of age in any occupation or processes except where the child helps his family, punishable with imprisonment of up to two years. 'The Child Labour (Prohibition and Regulation) Amendment Bill' makes employment of children below 14 years as cognizable offence for employers and provides for penalty for parents. 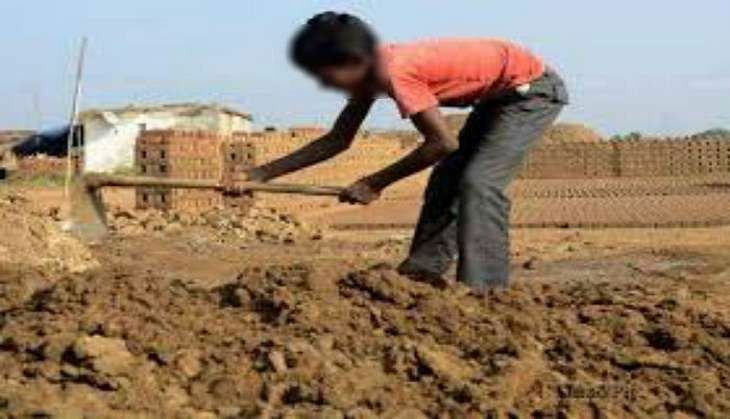 The Bill, which was passed by Lok Sabha on Tuesday, defines children between 14-18 years as adolescents and lays down that they should not be employed in any hazardous occupations and processes. This bill was passed by Rajya Sabha on July 19. It provides for enhanced punishment for violators. The penalty for employing a child has been increased to imprisonment between 6 months and two years (from 3 months to one year) or a fine of Rs 20,000 to Rs 50,000 (from Rs 10,000-20,000) or both. The second time offence will attract imprisonment of one year to three years from the earlier 6 months and two years. According to provisions of the Bill, no child should be employed in any occupation or process except where he or she helps his family after school hours or helps his family in fields, home based work, forest gathering or attends technical institutions during vacations for the purpose of learning. Labour and Employment Minister Bandaru Dattatreya said the bill is a "historic" and "landmark" legislation which seeks to totally prohibit children below 14 years to indulge in all occupation and processes except where the child helps his family after school hours. The Bill has proposed stricter punishment and higher monetary penalty, he said, adding it is going to be deterrent and violation would be made a cognisable offence. In the bill, the number of 'occupations' and 'processes' where child labour is banned has been reduced from 83 to 31. Congress leader Mallikarjun Kharge said the Bill brought by the previous government in 2012 was fine and the present one has diluted many provisions, which he termed as "derogatory". Taking a dig, he said Dattatreya is bringing such a bill by falling into the "web" of RSS and BJP. Kharge demanded that certain clauses in the Bill, including those related to government having powers for deciding hazardous industries, should be deleted. Just before the Bill was passed, Left party members walked out. Saying that the Bill was against children, BJD member Tathagata Satpathy said he was also walking out. Expressing reservation over the exception made in the Bill, Ranjeet Rajan of Congress said this provides loophole for surreptitiously pushing child into exploitation.